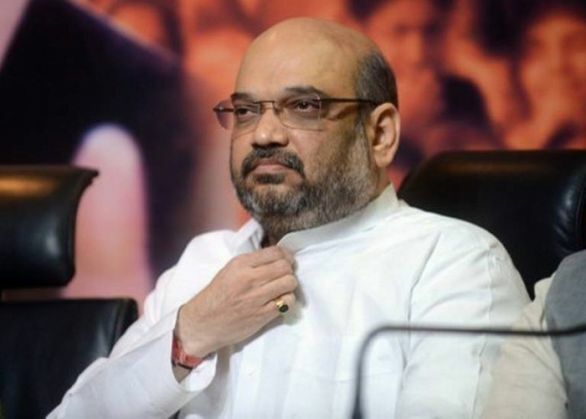 A meeting of NDA allies chaired by BJP president Amit Shah was held today but the issue of seat sharing for the forthcoming assembly elections in Bihar was not discussed. However, Ram Vilas Pasvan told the media that an announcement regarding the seat sharing will be made within a week. "As far as division of seats is concerned, it will be announce in a most amicable manner soon. It was not discussed today. We talked about our campaign and NDA will win with two-thirds majority in Bihar," he said. Dubbing the RJD-JD(U) rally in Patna yesterday a "flop show", Paswan said it was an "insult" for Congress chief Sonia Gandhi who was made to speak before Chief Minister Nitish Kumar, JD(U) chief Sharad Yadav and RJD supremo Lalu Prasad. Asked about his party's and RLSP demand that BJP should contest only 102 seats and leave 142 for its allies, Paswan played it down and said it was decided that no statement on the issue will be made by various leaders and only authorised party people will speak. RLSP leader Upendra Kushwaha, whose party has been most vocal and had even demanded that he be declared the NDA's chief ministerial candidate, said the alliance would speak in one voice and their foremost priority was a big victory. The meeting also decided to give a fillip to joint campaigning by NDA parties and that the campaign material of different constituents should give space to leaders of the allies. They said the allies will hold talks over it after Prime Minister Narendra Modi's rally in Bhagalpur tomorrow. Asked who would be their chief ministerial candidate, Paswan said "any A, B, C" picked by Modi will be accepted to them. The Patel agitation in Gujarat for reservation and its leader Hardik Patel was also discussed in the meeting, Manjhi said. Though he did not elaborate, but sources said the alliance leaders spoke about Nitish Kumar's early support to him. "Some of us said that Hardik had mentioned Raj Thackarey as his favourite leader. It shows what kind of leader he is," they said. Bihar BJP leader Sushil Modi said there were no differences among the allies and that the Prime Minister's three rallies in the state had so far attracted over 10 lakh people while the joint show of the grand alliance yesterday was no match to any of his rallies. The missing motive: why exactly did Sheena Bora have to die? READ NEXT >> The missing motive: why exactly did Sheena Bora have to die?